The Body Sage Clinic, a specialist sports massage, deep tissue massage and acupuncture clinic in Bedford, has been proudly fixing your aches and pains and improving your sports performance since 2010. We are a professional and certified massage clinic based in the centre of Bedford providing high quality services at great prices. We believe that professional sports massage, deep tissue massage and acupuncture can be used to treat a wide variety of ailments that can cause you pain or discomfort. Acupuncture, for example, has been used for thousands of years to treat ranging issues. From this dry needling has been created using all of the teachings from traditional acupuncture combined with modern research. Dry needling is used by therapists to reach trigger points. For simple, hassle-free booking, our online calendar can be accessed 24/7 where you can pick your treatment and book directly online. If there is anything you’d like to discuss with us prior to booking your appointment, don’t hesitate to give us a call, we’re always happy to help. Looking for a sports massage in Bedford? At The Body Sage Clinic we base our treatments around you and your specific needs. Whether you’re looking to reduce pain, sooth injured muscles or to get help getting your fitness goals on track, our great team is here to help you get the most out of your sports massage. By utilising advances soft tissue sports massage techniques we can help improve flexibility and range of motion! We are a certified acupuncture clinic in Bedford who specialise in dry needling. 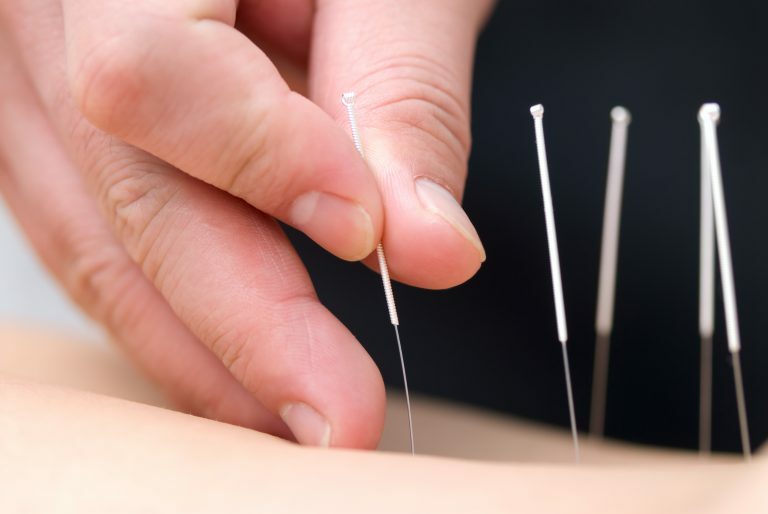 Dry needling is a modern adaptation of traditional Chinese acupuncture as it helps problematic muscles to reconnect with the brain and stimulate your body’s natural pain-killing chemicals. Acupuncture can treat a variety of problems, from dull aches to difficult muscular pains – there are some problems that massage alone just doesn’t cure! Deep tissue massage is a generic term to describe any form of massage that penetrates beyond the layers of the skin and into the muscles. 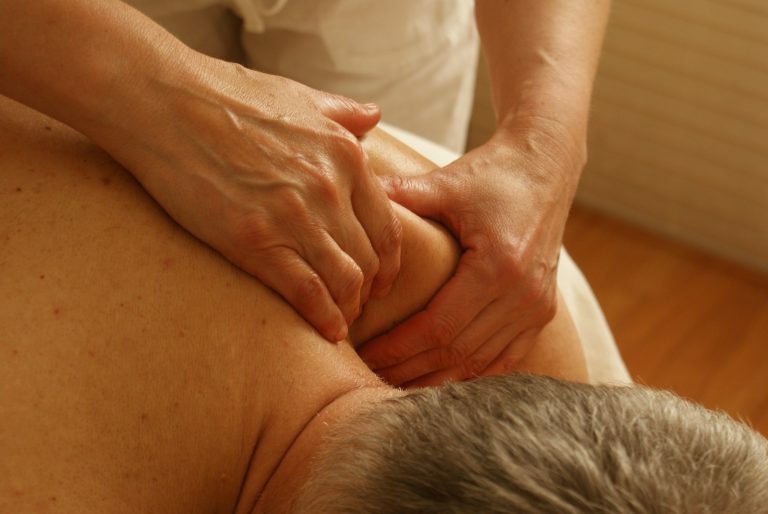 As such many different types of massage therapy can be considered as a deep tissue treatment and will vary greatly. Speak to our masseuses in Bedford to find out more! Trevor is very knowledgeable on what needs to be done to fix your problem i.e my back, I have been to numerous different massage places with my back problem and some seem a bit of a waste of time. Trevor really knows his stuff and I wouldn't hesitate to fully recommend him. Excellent service and advise. Thank you Trev for fixing my back. I was in agony and could barely walk. Now I am fixed thanks to you. I already have recommended two more people who are getting the same brilliant help. Best Sports massage that I have seen! I suffer with pain in my shoulders and neck and after having a session with Trevor I felt relaxed and felt like a lot of the muscle tension was reduced, very professional and knowledgable guy. Would recommend..
Trevor is an absolute hero! Every time I have groggled in with an injury he has always managed to resolve the issue and give advice to prevent it reoccurring in the time frames he has said it would take to heal/the amount of sessions that may be required... couldn't recommend body sage enough if I tried! Three sessions with Trevor, never had a massage before. He put me at ease, asked all the right questions...and really made a difference. During the final session he decided to use acupuncture...I could really feel the effect. So pleased that I made the decision to go in the first place. I have seen Trevor at the Body Sage a couple times now and I would without hesitation recommend him for sports massage and acupuncture. I have left there after treatment with noticeable improvements in the troubled areas he has applied treatment. Very welcoming and friendly. All treatments are carried out by qualified and fully-insured therapists. Late or non-arrivals will be charged in full for the booked period. All major credit cards accepted. Payment is expected at the time of service. Medical history will be required when attending first session.